We finally know where all that Martian water has been hiding! 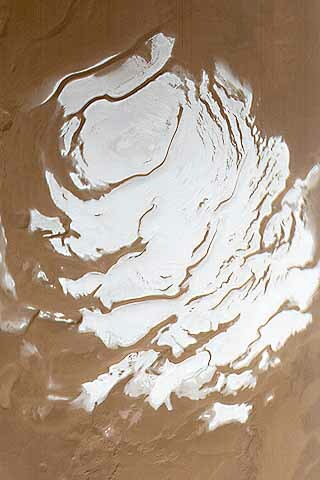 This latest epic discovery was achieved using a radar instrument on a Mars orbiter, with Italian scientists finding a huge liquid reservoir hidden 1.5 kilometres (0.93 miles) under the southern polar ice cap, extending 20 kilometres (12.4 miles) across. The researchers say it's a lot like the subglacial lakes trapped beneath the ice of the Arctic and Antarctica here on Earth. And, like our terrestrial subglacial lakes, it might be where we find surprising life. A subglacial lake has long been hypothesised as a likely place to find water on the Red Planet, but probing beneath glacial regions is not an easy task even here on Earth. It's only been in recent years that scientists have used satellites equipped with radar to uncover the mysteries of the hidden waters of our own planet. 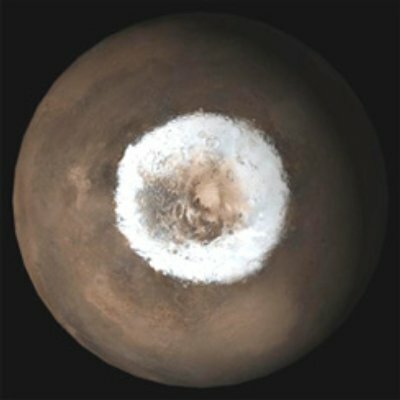 For the Mars mission, the research team, from a number of institutions in Italy, used similar technology to study Mars' polar ice caps. An instrument designed specifically for subsurface surveys is on board the European Space Agency's Mars Express probe - in orbit around Mars since 2003. The Mars Advanced Radar for Subsurface and Ionosphere Sounding (MARSIS) uses radar to look for features under the surface of Mars, and has been looking for signs of subsurface liquid water for over 12 years. It was between May 2012 and December 2015 that the research team seriously investigated a 200-kilometre-wide section of the southern ice cap, in a location called the Planum Australe. They took 29 radar profiles of the region, bouncing radio waves deep beneath the surface of Mars, and collecting the return signal on a receiver. It's by measuring changes between the transmitted signal and what returns that scientists study subsurface features. Radar returning through water is returned more strongly, or 'brightly', than radar returning through rock or sediment. This is what the research team found in their radar results: an anomalously bright region in the Planum Australe. Other explanations, such as very cold and pure water ice, or carbon dioxide ice, could also explain a brightly reflective subsurface anomaly like this, but the research team ran simulations and found that the reflectivity profile did not match their results as well as liquid water. But there's one other big problem: the temperature of the body is estimated to sit at around 205 Kelvin (-68.15 Celsius, or -90.67 Fahrenheit). That is far below the point of freezing, even for hypersaline Antarctic lakes, which remain liquid above 260 Kelvin (-13 Celsius, or 8.6 Fahrenheit) thanks to their salt content. But despite this, the water could still hypothetically remain in liquid state. We know that salts of sodium, magnesium, and calcium are abundant on Mars - they've been found on the surface. If dissolved into the water, and combined with the pressure of the ice cap on top, they could drop the freezing point to below 200 Kelvin (-74 celsius and -101 Fahrenheit). Life has been found in subglacial Earth lakes. It's been previously proposed that a subglacial Martian lake might therefore also harbour life. This discovery reopens that possibility more prominently than ever before. "There is evidence on Earth of substantial microbial life in the waters below the poles - and even microbes that can survive within ice veins," said astrobiologist Brendan Burns of the University of New South Wales, who was not involved with this research. "Whether similar scenarios are occurring on Mars remain to be experimentally established, but this finding of potential liquid water beneath the surface of Mars opens up fascinating areas of space exploration." It is still important to keep our cool on this one. It's extremely possible that the sheer concentration of salt required to keep the water liquid is absolutely hostile to life. We also have absolutely no means of sampling the water at this point, or any point in the near future. But it's a lot more accessible than Europa and Enceladus, the other Solar System candidates in the search for life; and the water itself could yield clues about the climate history of Mars, its hydrosphere, and what may have happened to its long-disappeared ocean. In addition, now that the team has demonstrated its technique, other researchers know how to look for more such reservoirs on the Red Planet. But we're also going to take a moment to squee about the possibility of Martian microbes. 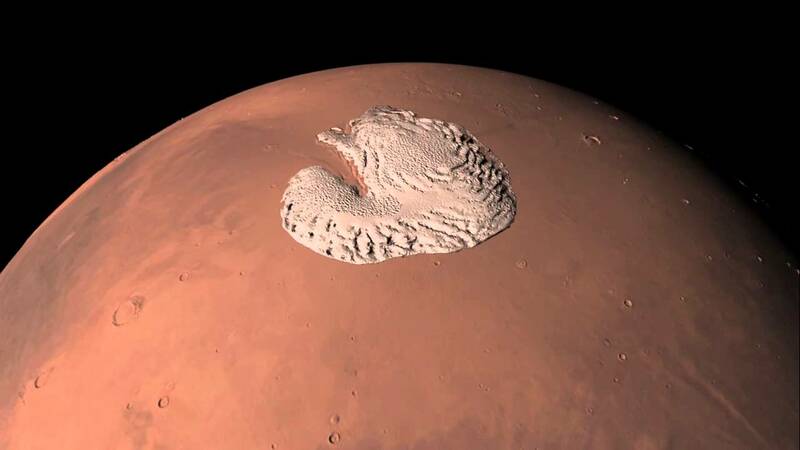 "This is an amazing discovery from the Mars Express," said astrophysicist Brad Tucker of the Australian National University, who was not involved in the research. "For decades, we've been finding evidence of either ice or past flows. 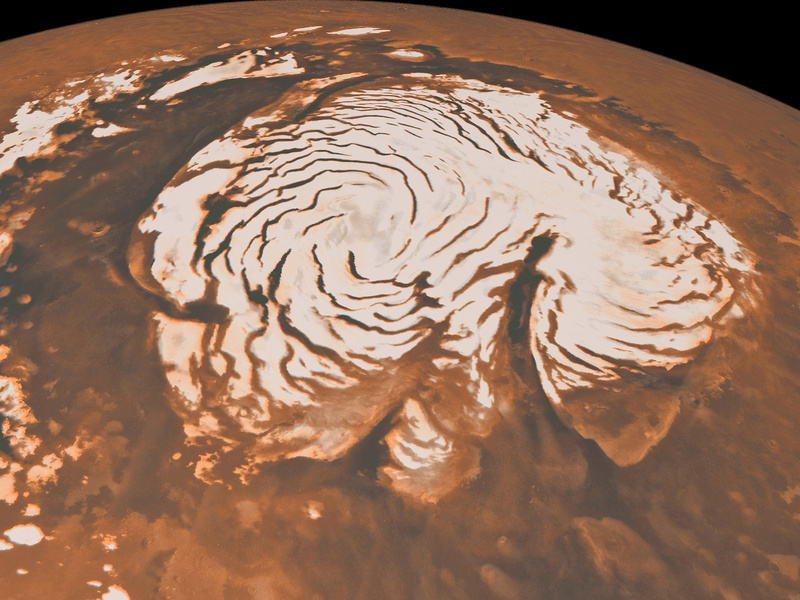 Now, we know that liquid water currently exists on Mars, and just as subsurface lakes exist in Antarctica here on Earth, we now have that on Mars." "Every month, new discoveries are being made that is getting us closer to answering the fundamental question - does life exist somewhere beyond Earth." The team's research has been published in the journal Science.